A couple of things up top. This past week has been somewhat interesting in the world of podcast listening, as it saw the acquisition of podcast app Pocket Casts by a group made up of NPR, WNYC, WBEZ, and This American Life. Over the past year Pocket Casts has become my player of choice, particularly because it is able to handle the—this is the real number at time of sending—1,111 shows to which I’m currently subscribed without any hiccups. I honestly don’t advocate for one one podcast app over another, since the choice largely comes down to what is available and meets the needs of each consumer. But this sale feels like it will have repercussions in the years ahead, especially as we move into a place where the controlling interests behind podcast apps are increasingly the content creators themselves. These movements seem to signal the medium moving in lockstep with streaming music and television platforms, gaining users through content windowing or outright exclusivity. It’s a potentially worrying trend towards a less open landscape, but perhaps I’m just being dramatic. Also, as a final note, I’ll be heading off to Paris for my birthday this coming weekend, so there will be a two week intermission on emails. I’ve got some fun things lined up for this summer, so bear with me while I’m away. New podcast Hollywood In Color seeks to examine the way show business treated actors of color in the golden age of filmmaking. It is both captivating and necessary, with immensely fertile ground to explore. If we’re to divide the landscape into podcasts into eras, I’d have to say one of the surest signs of an epochal shift occurred around 2014, as the form began to come into its own as a medium, separate from the constructs of public radio yet operating at a similar level in terms of overall professionalism and storytelling. It was in this time that listeners would become aware of just how much power the podcast held in subverting the methods of acquiring audience, allowing for intentional and strategic narrowcasting, secure in the knowledge that well-made and engaging content which exists nowhere else will manage to find its audience. One of the shows that has come to define this era is Katrina Longworth’s You Must Remember This, where tales of old Hollywood that have otherwise been subducted into the mantle of history are resurrected by Longworth and given wonderfully astute retellings. The podcast was unlike any other around at the time, and it quickly found a fervent fanbase as a result. Honestly, of all the shows to come out of that era, few are as frequently inquired after, even today. Listeners have continually asked me to find more programs just like it, and it makes sense why. Who wouldn’t want more of the playful erudition and inside knowledge that Longworth brings to each episode of the podcast, but focused on other realms of media beyond film? However, several years later and there hadn’t yet been another program quite like You Must Remember This to slake listeners’ thirst. That is, at least until very recently. Last week I was very glad to discover Hollywood In Color, an unexpected and necessary response to YMRT. You see, for all of Longworth’s thorough examination of Hollywood, her podcast hasn’t been one to tackle the issues of race and representation within the film industry. Quite naturally though, given podcasting’s openness, it is inevitable that any gaps in inclusivity will be filled by those enterprising enough to launch their own programs. Such is the beauty of a completely open communication landscape. This new podcast, from academic film historian Diana Martinez, aims to tell the stories of the golden age’s more marginalized voices with all of the depth and course-correction afforded their white counterparts. 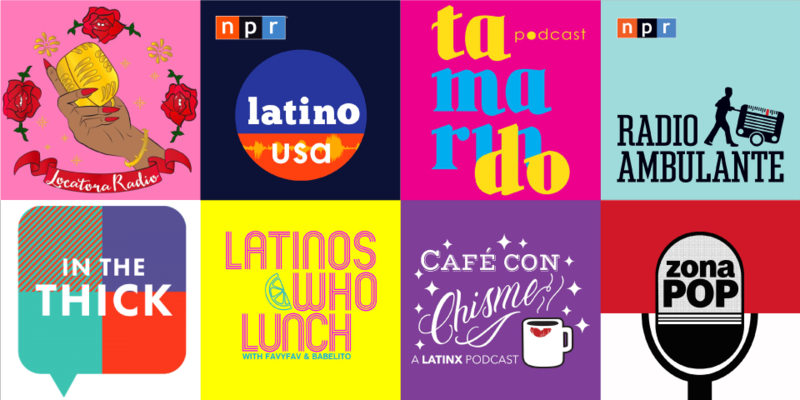 This kind of remix is just what the podcast space has needed, building upon an established and successful framework but using it shine a light on the stories of creators of color. The benefit runs both ways as well, providing listeners with these important lessons from film history, but also offering its subjects a critical reexamination of their works and struggles in this more enlightened age. For the podcast’s inaugural season, titled “Las Reinas of Los Angeles,” Martinez follows the twin trajectories of Mexican stars Lupe Vélez and Dolores Del Rio. The two actresses’ stories prove fruitful ground for exploration, both in parsing their achievements and pitfalls, but also in examining the many analogs that we still see present today. A major component of this is the pair’s struggle for maintaining their unique Mexican identity in an industry still grappling with issues of that kind. To her great credit Martinez brings an impressive depth of research to the program, which makes for both a thoroughly interesting and educational listening experience. This pertains not simply to the lives of the stars at its heart, but also topics as diverse as the politics of 20th century Mexico and California’s revisionist embrace of a mythic Spanish mission past that led to erasure of the territory’s indigenous and Mexican history. Of particular note as well is the way that the show seeks to dispel the many specious and vile rumors that were contemporaneously reported in gossip columns and later taken as fact. From the first sounds of the show’s intro music, it’s obvious that Hollywood In Color is a breath of fresh air, and it feels like exactly what film history podcasts have needed. As these shows often purport to tell the stories of stars that time forgot, it is important to focus on those that were always seen as more easily forgettable. Subscribe to Hollywood In Color here. Everything Is Stories comes back from a year-long hiatus with a wonderful two-part episode, charting the parabolic life of Jerry Torre, the enigmatic handyman from cult film documentary Grey Gardens. It’s an engrossing surprise. The model for podcast engagement is built on some relatively old technology, but outside of issues around analytics it’s actually central to my enjoyment of the medium. At the core, it’s really just RSS for audio content instead of blog posts. This is why shows operate on a subscription basis, as one signs up for the syndication feed in order to have each new episode delivered to one’s podcast app of choice. Though it seems a little strange, I’ve often found this model endearing, and one that provides many unexpected delights. Shows I’ve loved over the years that have gone dormant have a way of popping back up unexpectedly. Subscribing to a show is a tiny act of loyalty, one that doesn’t happen in many other mediums, acknowledging to its creators that the audience want more of what they’re creating, whenever they create it. A few weeks back while scrolling through my feed I saw that there was, out of the blue, a new episode from Everything Is Stories, a podcast whose narrative non-fiction work had captivated me back in 2015. I wrote glowingly about it for The A.V. 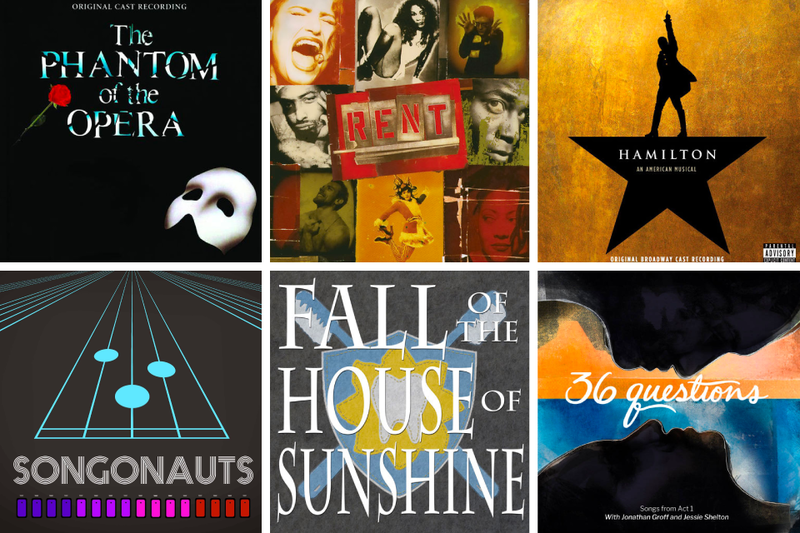 Club then, but following a handful or releases in the ensuing years, I feared that the show had ended altogether. Prior to their recent resurrection, EIS hadn’t produced a new episode in over a year, so you might imagine my surprise at not only a new two-part episode but also one of such intriguing content. The latest in the show’s long line of engrossing stories is one of particular excitement for me, as the EIS crew profile the life of Jerry Torre, who a handful of readers might know as the enigmatic, seemingly out-of-place handyman in Albert and David Maysles’ cult documentary Grey Gardens. Though his appearances in the film are minimal, they left a mark on me. Here was this seemingly normal person intimately involved in the reclusive lives of the Ediths Beale, and without judgment of their unorthodox, squalid way of living. I practically leapt with joy at the idea of getting to hear the story from his side, but what I found was much more captivating. These types of programs are at their best when the subject hasn’t simply lived an amazing life, but more one which is completely unexpected for both teller and listener. With Torre, his story is so full of surprises that it feels like something cooked up by Winston Groom. In it he goes from abuse to destitution to Grey Gardens, eventually landing in the palace of the royal family of Saudi Arabia, before arriving at a new and worse kind of destitution—one that has been self-inflicted. It’s an amazing tale that Torre tells with impressive verve. The producers wisely recognize the magnetic quality of his storytelling abilities, getting out of the way and allow him leisurely unspool his ups and downs over a pair of episodes. It’s a wonderful return for EIS, and even if they go dark for another year, I’m glad that I won’t have to worry about missing it when they pop up again. Subscribe to Everything Is Stories here. The 200th episode of Scroobius Pip’s excellent interview podcast Distraction Pieces bowled me over, featuring Jess Thom who is working to make live theatre a more inclusive space for individuals with disabilities. I was all too eager to write about it for The A.V. Club last week. 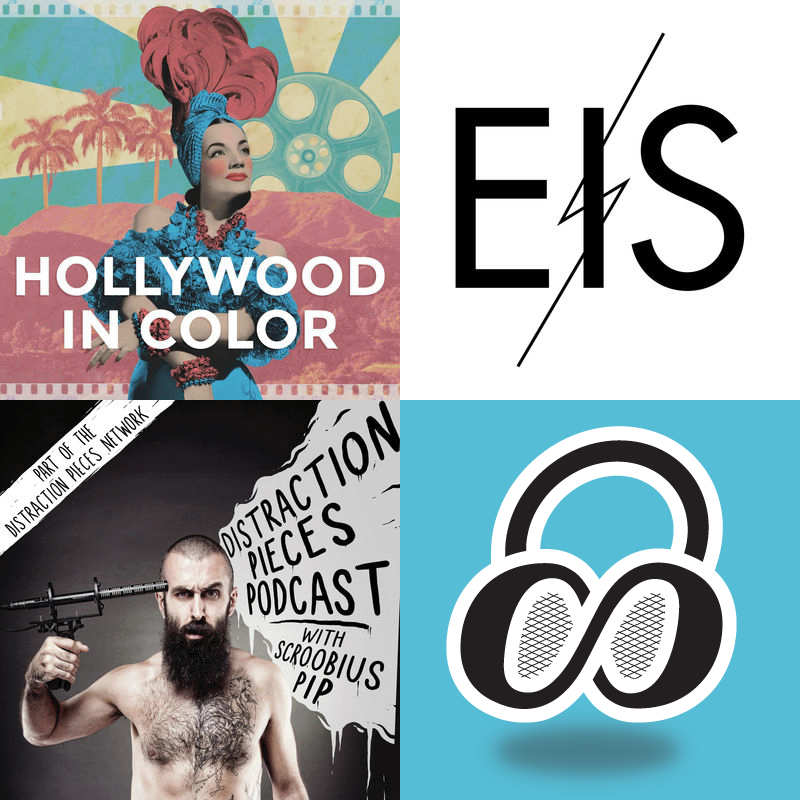 This past week saw the 200th episode of Distraction Pieces, British musician Scroobius Pip’s delightfully eclectic interview podcast, and it was a wonderful curveball from a show that already throws a lot of them. Instead of sitting down with a big celebrity to mark the occasion (as is often his wont), Pip spent this milestone interviewing Jess Thom, an actress, comedian, and activist with Tourette’s. As Pip notes in the episode intro, there’s a sense of poetic balance to their conversation, as he is afflicted with a stutter and she with vocal tics; he can’t always get out the words that he wants, while she can’t stop herself from saying words that she doesn’t. The pair have a lively conversation full of humor and empathy. The meat of their chat covers Thom’s career path, but it is at its most salient when they touch upon her mission of making live theater a more accessible and inclusive space for people with disabilities, performers and audience members alike. It’s a conversation of both tremendous fun and import, and one that isn’t being had anywhere else.